Audiomodern are proud to present the complete "Paths" Bundle, including both "Paths" and "Paths 2" loop based sampler instruments for NI Kontakt focusing on Atmospheric Pieces & Underscore Composition parts. By giving you the ability to add the amount of depth and texture needed, along with multiple and seperate FX sections, Paths Series give you a creative freedom to create. 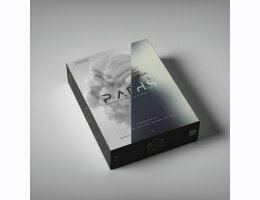 Paths Series have been formatted in today’s most popular file types: Kontakt, WAV, Apple Loops, ACID, REX, & ReFill. Every file has been carefully edited to loop perfectly without any complications.